Heat gas or charcoal grill. On ungreased cookie sheets, place tortillas. Brush with oil. Sprinkle with 1 cup of the cheese. Top evenly with olives, tomato and pepperoni. Sprinkle with remaining 1/2 cup cheese and the oregano. With broad spatula, carefully slide pizzas onto grill. Cover grill; cook over medium heat 3 to 6 minutes or until cheese is melted and crust is crisp. 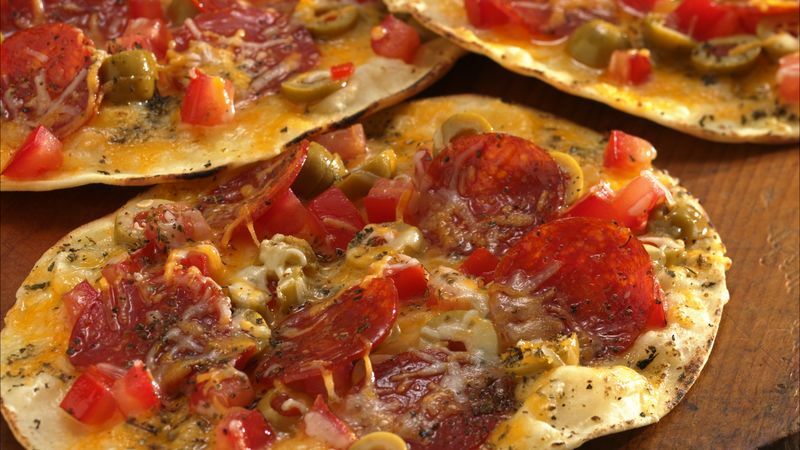 Slide pizzas back onto cookie sheets.